You know what is Bitcoin, how it is made and how you can buy one. However, there are still so many things that you might not necessarily know—after all the world of cryptocurrency is too big to master in just a few months. Interested in the ‘what you don’t know’ part? 1. 1800 Bitcoins are generated every day. That means, every 48 seconds, one Bitcoin is created. 2. Bitcoin supply is limited—just like Gold. There will be a total of 21 million Bitcoins. The final Bitcoins are expected to be mined in the year 2140. 3. More than 980,000 Bitcoins have been stolen from exchanges, either by hackers or in-house employees. So don’t take security at your exchange for granted. 4. Not every country is welcoming to Bitcoins. While this digital currency is unregulated in the majority of countries, there are few places where the government has banned it. The countries where Bitcoin is illegal include Iceland, Vietnam, Bolivia, Bangladesh, Kyrgyzstan, Ecuador, Russia, China, Sweden, and Thailand. 5. Bitcoin isn’t the only cryptocurrency in the market. It has well over 1300 rivals. 6. The pizza was the first thing that was purchased with Bitcoin. In 2010, a guy paid 10,000 Bitcoins to buy a pizza worth of $25. So whoever received these Bitcoins, in today’s value, received over $118 Million for one pizza. 7. The founder of Bitcoin goes by the name ‘Satoshi Nakamoto’. He is believed to own up to a million Bitcoins. Meaning, he’s (or she is) like sitting on a pile of more than $11 Billion. 8. Every Bitcoin transaction utilizes enough electricity that can light up three average homes for an entire day. 9. The FBI has the world’s second-largest Bitcoin wallets (the first one, of course, Satoshi Nakamoto). On a raid of an online drug market in 2013, they seized wallets containing over 144,000 and 30,000 Bitcoins. It is believed that in multiple raids subsequently, they grabbed plenty more Bitcoins. 10. Since the beginning in 2008, 2014 is the only year when Bitcoin’s price plummeted, leaving the investors with the loss of 62 percent. 11. There are more than 1.5 million Bitcoin users in India. And this number is fast increasing with 200,000 new users joining this bandwagon every month. 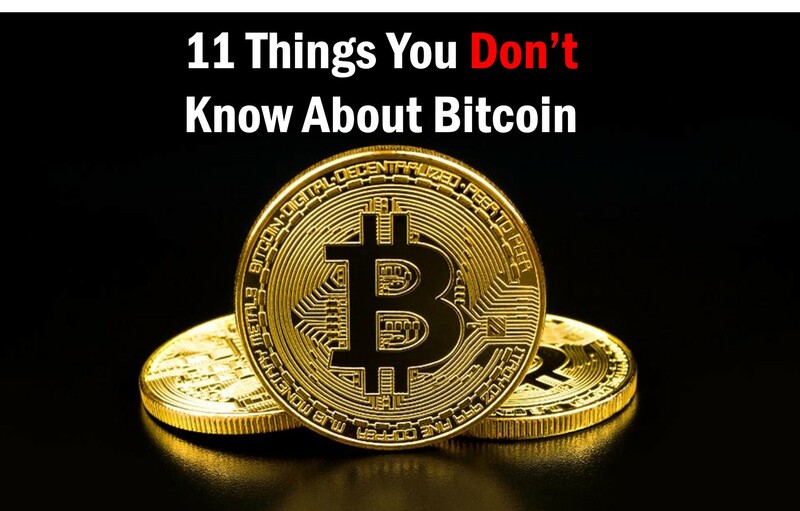 Want to know more about Bitcoins? Don’t forget to check out the FAQ page. Planning to invest in Bitcoins? We’ve got you covered. Learn Everything About Bitcoin India.